We don’t know a lot about the project, but we know that Derek Connolly will be penning the script. Connolly has two projects filming currently, ‘Monster Trucks‘ and ‘Jurassic World‘, the fourth in the ‘Jurassic Park‘ series. Connolly and the Downeys developed the pitch based on an idea by RDJ before approaching the studio. The project is going to combine two very hot genres right now, the supernatural horror comedy, I’ve tried to come up with a clever nickname for that and am coming up with a blank. Anyhow, this is the same type of movie as ‘Shaun of the Dead‘, ‘Army of Darkness‘, ‘Zombieland‘ and even the wonderfully horrible ‘Killer Klowns from Outer Space‘. There haven’t been any reports of whether or not RDJ will star in the flick or not. 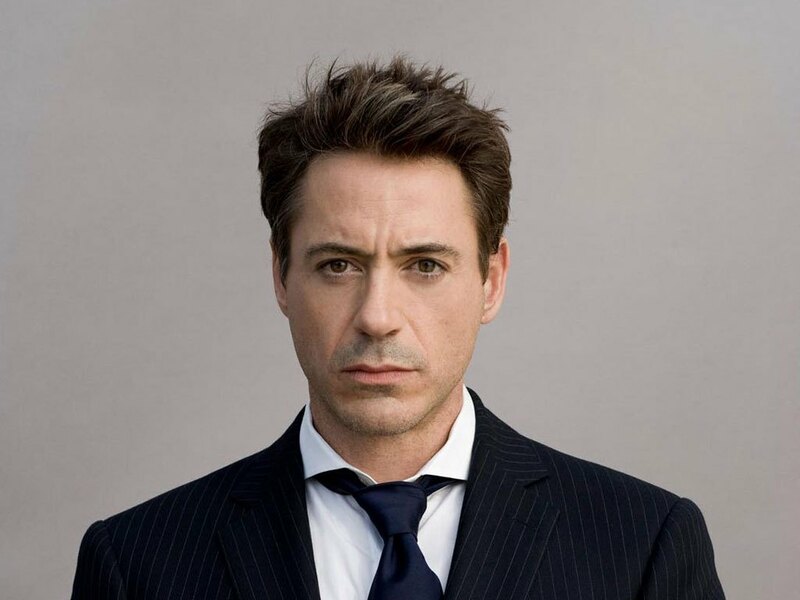 He’s currently filming ‘The Avengers: Age of Ultron‘ after a starring role in ‘The Judge‘ co-starring with Billy Bob Thornton, Robert Duvall and Leighton Meester. 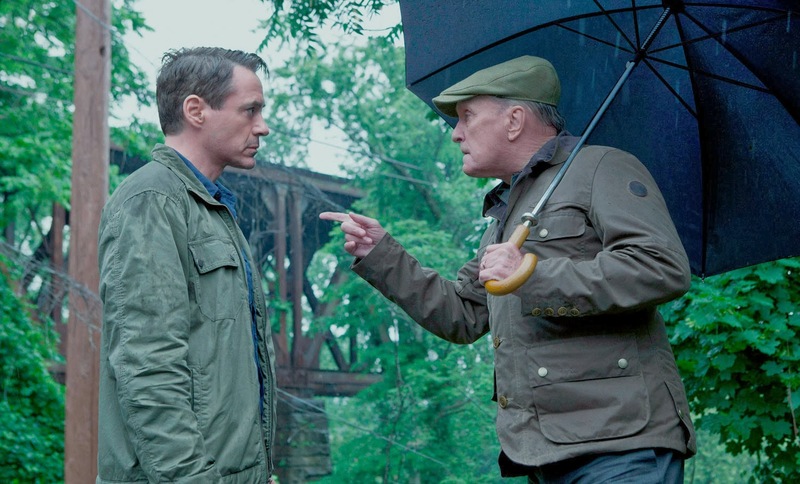 The logline about ‘The Judge‘ is the story of a successful lawyer returning to his hometown for his mother’s funeral only to discover that his estranged father, the town’s judge, is suspected of murder. 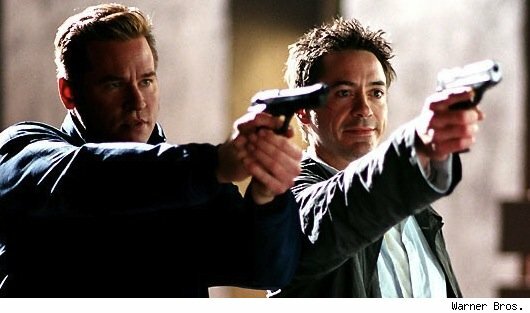 If you want to see an excellent RDJ performance that marked his turnaround into being Hollywood’s golden boy, check out Shane Black’s ‘Kiss Kiss Bang Bang‘. Downey and Val Kilmer team up as a mis-matched private investigative team. The script is rife with incredibly witty dialogue that is definitely worth watching with closed captioning on so you don’t miss a single zinger. Black is responsible for some of my favorite movies like the ‘Lethal Weapon‘ series, I seriously wanted to be Lorna Cole when I grew up, or basically the female Martin Riggs. It’s Neo-Noir at its finest and it’s Ah-Mazing. Seriously, this is in the top 5 of my all-time favorite movies. Check out the trailer then check out the film, you’ll thank me later. This entry was posted on Friday, May 2nd, 2014 at 9:46 am	and is filed under Film, News. You can follow any responses to this entry through the RSS 2.0 feed. You can skip to the end and leave a response. Pinging is currently not allowed. « The ‘They Came Together’ Trailer Is Here!! !